Reggae Archive Records is determined to not let the world forget that some of the toughest roots reggae gifted to the world was created by Jamaican immigrants in the English midlands in the '70s and '80s. 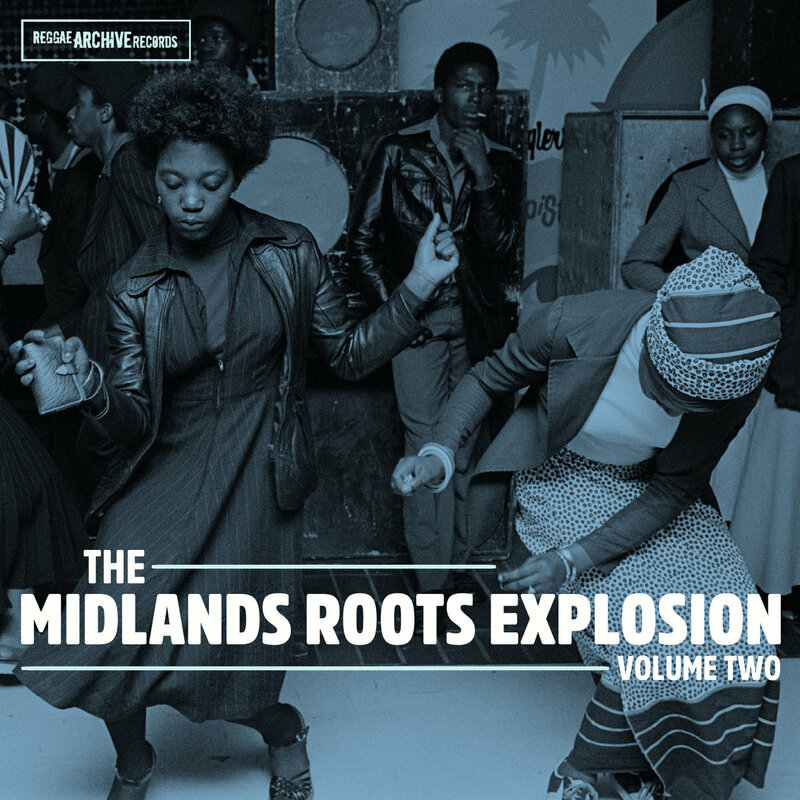 Their latest effort is the directly titled The Midland Roots Explosion, Volume Two. As was the case with last year's Volume One, it is a compilation of choice tracks from better known acts, such as the legendary Steel Pulse, Capital Letters, Black Symbol, Groundation, and Sceptre, and lesser known artists whose fame never reached the heights merited by their talent. Consisting of 16 tracks previously recorded and released, it is available on double vinyl, CD, and digital formats (see the Bandcamp link below). The production values are excellent, with bass that will rattle your ribcage and vocals with sharp edged commentary on injustice, struggle and religion. Unlike many serial compilations, this Volume Two represents not drop off in quality as compared to Volume One. In fact, this selection may be meatier and more varied than the first. I've included a few highlights below, including my current favorite, Sledge Hammer's "Ruled By The Stone". But my strong recommendation is to listen to these streams, and then go to the Bandcamp page, put on your headphones, and become immersed in wonderful music.